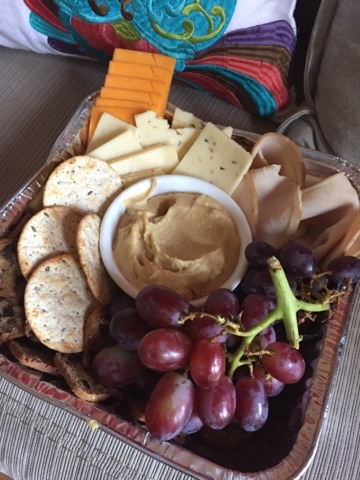 I hadn't seen my BFF in a long time so I wanted to make us a nice spread with some wine. I got grapes, crackers, cheese, turkey and hummus. Everything was bought from Trader Joes. P.S. 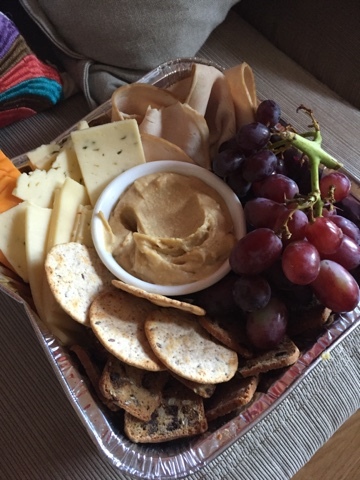 I'm totally obsessed with Trader Joes Fig and Olive Crackers, they are just addictive, delicious and they go with anything.